Currently accepting both green and flocked trees (fake snow) at Swanson Pool parking lot, Standley Park, 3585 Governor Drive. 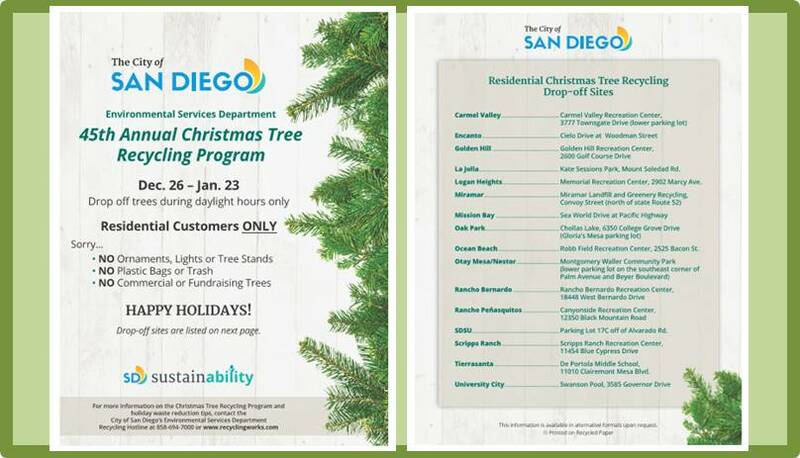 No artificial trees and no tree stands, bags, netting, lights, ornaments, tinsel, and other tree decorations at drop-off locations. Please do not illegally dump any other items at the drop-off locations. 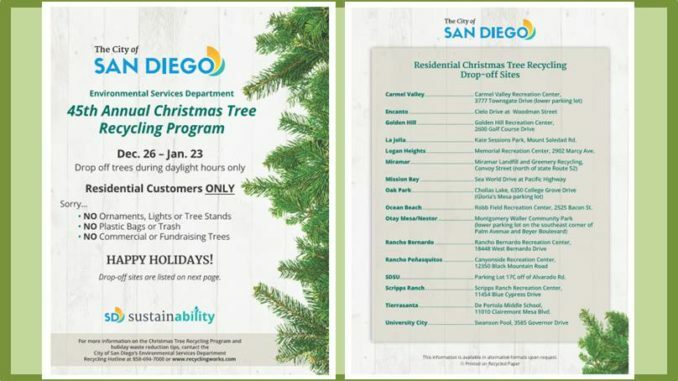 Each year, the City of San Diego Environmental Services Department hosts its Annual Christmas Tree Recycling Program beginning the day after Christmas, December 26 until January 23. The program features 16 drop-off locations available to City residents only.